Spiders are one of the most successful groups of 'invaders' on the planet. Out of over 47,000 species of spiders known today, there are some that tend to follow humans across the globe and settle in habitats far away from their native homelands. A particularly notorious example is the species Steatoda nobilis, the Noble False Widow spider. As its name suggests, this is a relatively large species that resembles the well-known Black Widow and can inflict a painful—yet mostly harmless to humans—bite. Naturally, its 'arrival' causes widespread concerns and public disruptions. Specifically, the Noble False Widow poses a threat to native faunas, since it can prey on nearly every smaller animal thanks to its potent venom and sturdy webs. 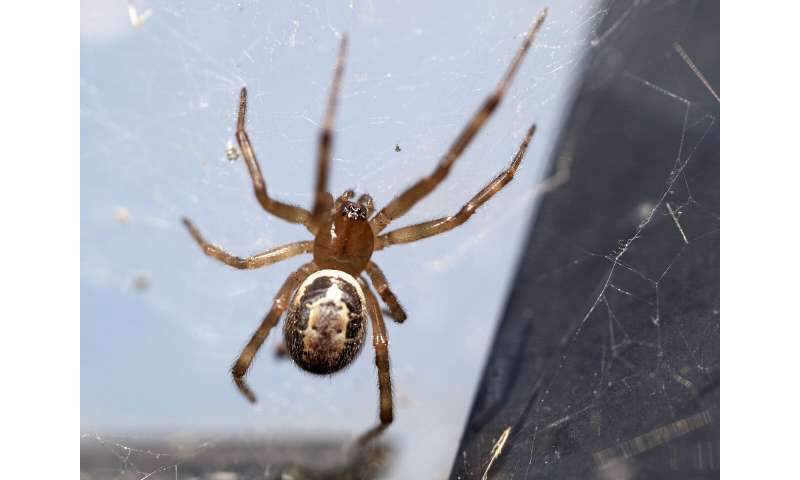 While it had largely been assumed that the Noble False Widow turned up in Europe along with bananas traded from the Canary Islands, a new look at the data revealed that the spiders have most likely been transported via imports of ornamental plants. 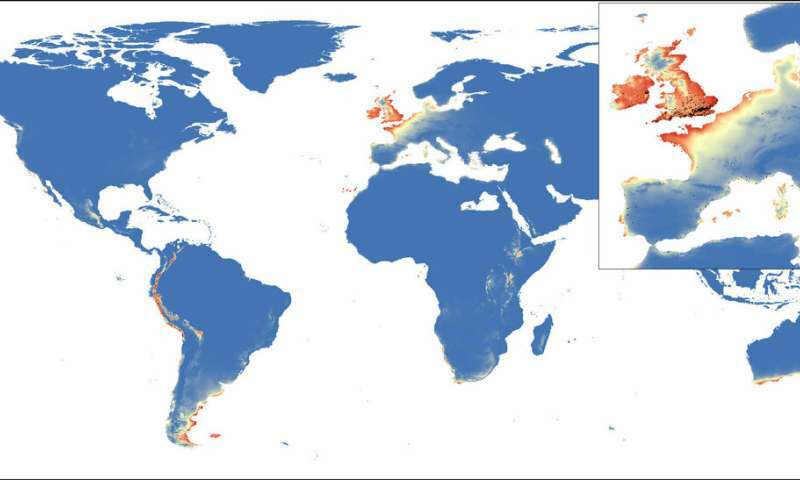 Further, rather than the result of climate change, the establishment of the species across new, large territories is rather linked to the fact that these habitats all share similar conditions to the spider's native localities. "Similar suitable False Widow habitats occur in quite specific regions all around the globe," explain the researchers. "Most importantly, South Africa, some areas in southern Australia, and a large part of New Zealand turn out to be highly likely targets for future invasions, unless appropriate import control measures are implemented." Just what we need, more spiders. With the global population of bugs shrinking, these guys will start getting hungry. Wonder what they will use for food next?!! Said to be big suckers. Maybe the pet chihuahua will be next. Nawww, we own that breed and it is reallly feisty and will NOT take no crap from no suckers.....least of all mean arze spiders.